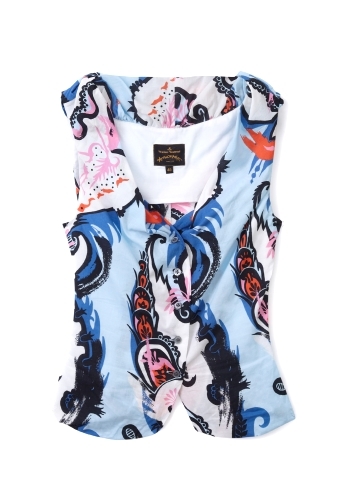 Produktbeskrivning för Bubbly Sleeveless Top by Vivienne Westwood Anglomania: Blue multi patterned fitted sleeveless top with button front fastening. Vivienne Westwood Anglomania top features a signature stand up collar and is lined. Model is a standard IT 40 and is wearing an IT 40.